So, what makes Soei Restaurant so great? For a start, the meals are packed with flavour, prepared with fresh ingredients and cooked professionally. The owner checks every dish for quality before it’s served. Soei’s menu also features a lot of unique Thai dishes you won’t find everywhere. Think Fried Mackerel Cheeks, Thai Shrimp Ceviche prepared with wasabi and many more unique seafood and non-seafood delights. 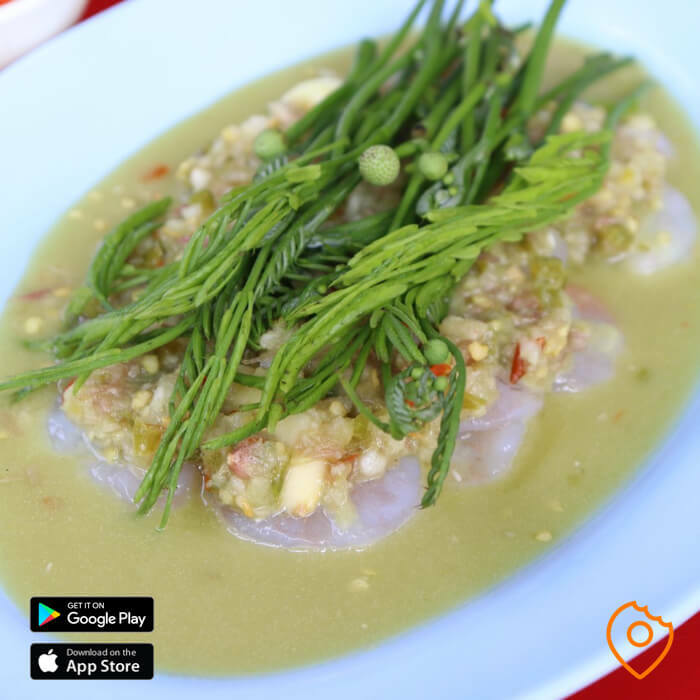 Soei Restaurant is most famous for its Fried Mackerel Cheeks (100 THB). 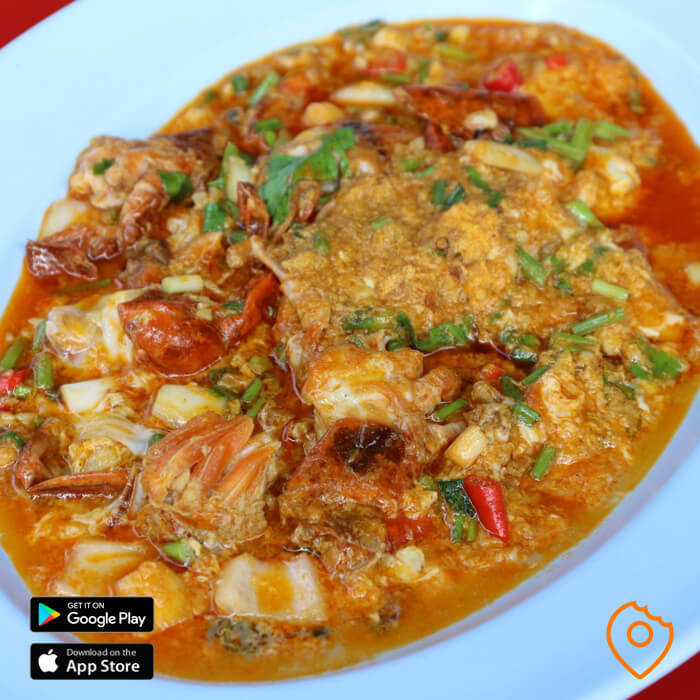 The fried fish cheeks are crispy and seasoned with salt and fried garlic. 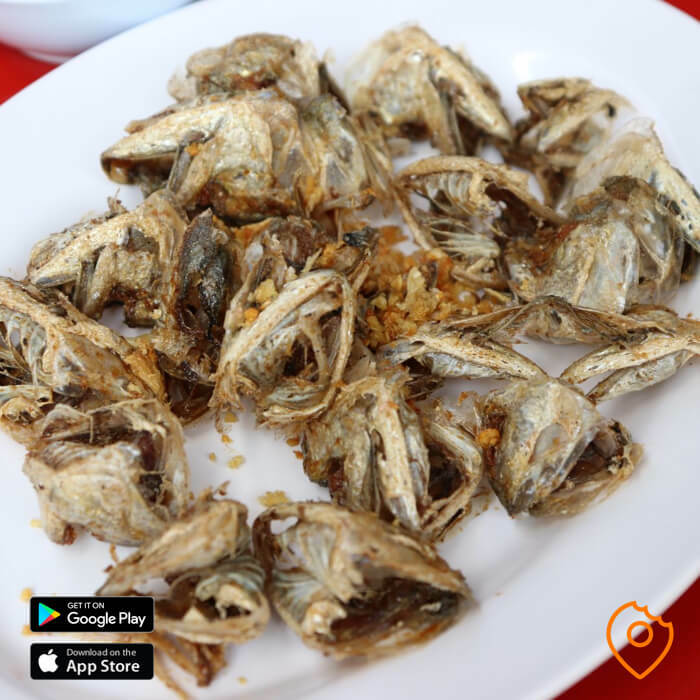 Dip the crunchy, delicate fish heads into the complimentary chilli sauce and devour them like you would a bag of chips. Due to their saltiness, the Fried Mackerel Cheeks go well with an ice-cold beer. This was an interesting snack, which I enjoyed eating. -*4 stars- ? Note: apparently the Fried Mackerel Cheeks are often sold-out, so if you really want to try them, phone ahead and reserve a plate of these crunchy fish cheeks. 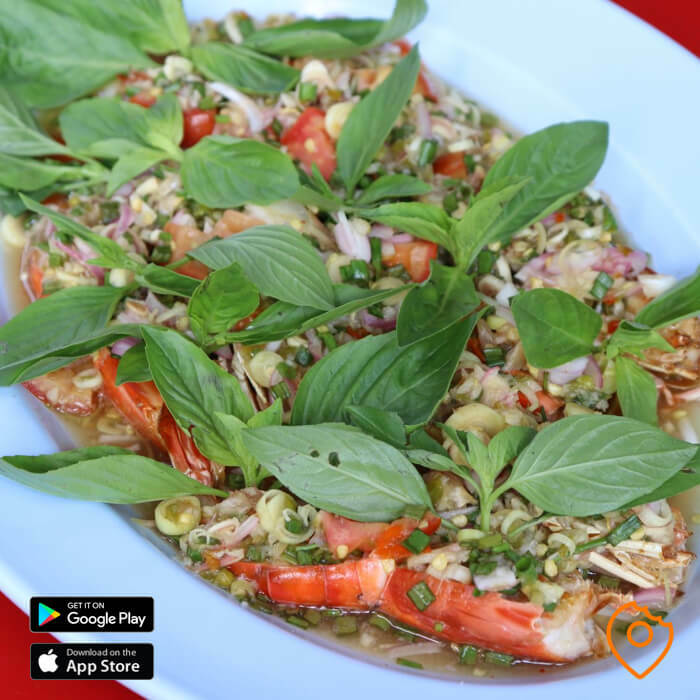 Soei Restaurant is located close to Ari, which is outside of Bangkok’s major tourist areas. This is my favourite restaurant in Bangkok (so far) and if you’re a foodie, definitely worth the trip. You can easily combine a visit with a trip to nearby Chatuchak Weekend Market. 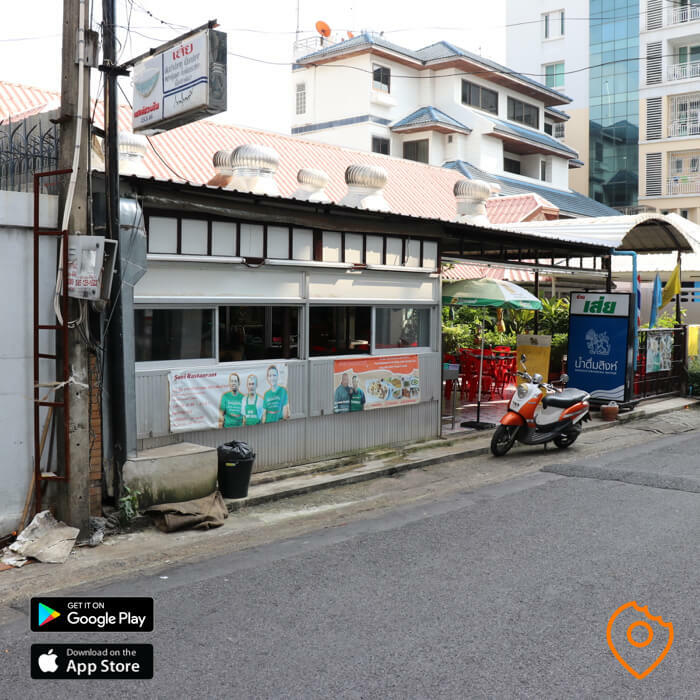 But beware, Soei is closed on Saturdays, so if you want to visit Chatuchak Weekend Market as well you should visit on Sundays. 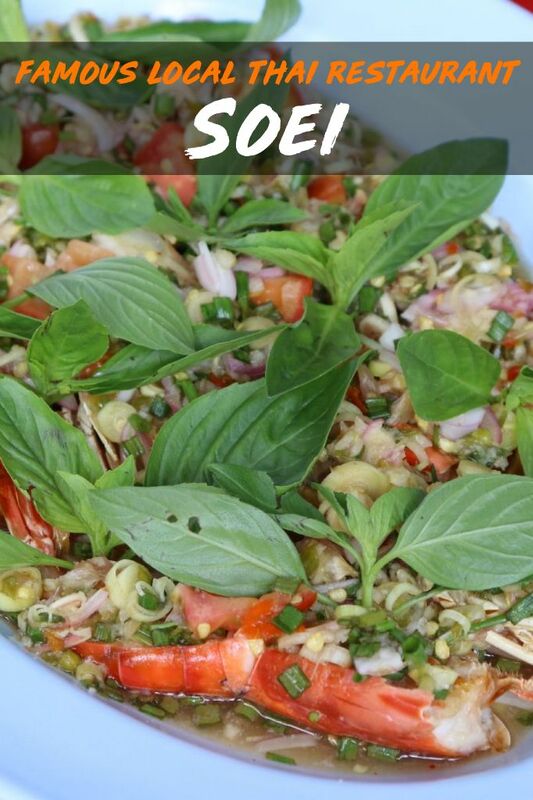 Have you visited Soei Restaurant? 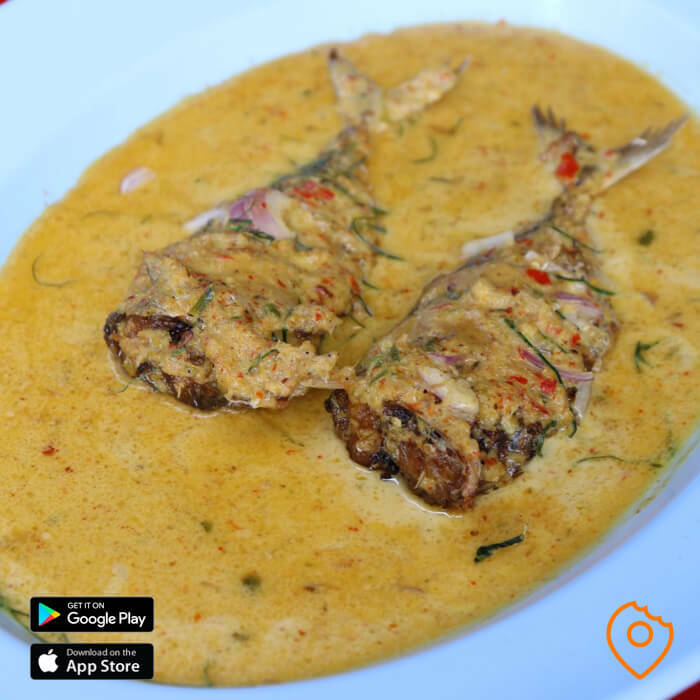 Please let us know what you think of the food at Soei Restaurant by reviewing the dishes in our app. And help other foodies find delicious local food as they’ve helped you.